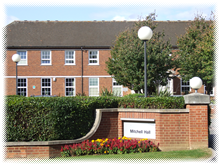 This residential facility is located on Cranfield University Campus which is between Milton Keynes & Bedford. Only 10 minutes from the M1 motorway and can be accessed from either junction 13 or 14. On campus there are; petrol station, book shop/cafe, supermarket/post office, hairdressers and bank/ATM. 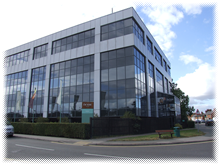 Operated by the De Vere Group this dedicated training facility is located in Newport Pagnell. If travelling by car exit the M1 at Junction 14 & follow signs for Newport Pagnell. Newport Pagnell is a small town with numerous shops and restaurants as well as Milton Keynes city centre nearby. This facility is 3 km from the centre of town and 4 km from the train station. Located in Dartford-South East London directly accessible from the M25, exit 1A.